delicious wife: how to brine a chicken...or whatever your heart desires! how to brine a chicken...or whatever your heart desires! brining is that magical, and not to mention, ridiculously easy step that most of us skip. i always thought brining was a waste of time. something that really didn't make difference. it makes all the difference! it's the difference between tough/dry and plump/juicy. i will never skip this step...ever! let's start with a simple biology lesson. i know, what does biology have to do with food...everything! this will help you understand why you should never skip this crucial and delicious step. here a few definitions. if you really hate science, go ahead and skip ahead. but i promise, you'll get it. you're brilliant, after all! so, now that you've got that down. brining is basically soaking a meat in a salty, (and, if you like, sugary) water solution. the water seeps (or flows) into the meat. because the water contains salt and sugar, the salt and sugar spreads throughout the chicken. water serves as a kind of method of transportation...transporting the sugar and salt. think of the water as a car traveling from texas to louisiana and the sugar and salt as hitch-hikers. once the hitch-hikers get to louisiana they find their way around...they're crafty like that! once the hitch-hikers, i mean, sugar and salt gets inside the cells of the meat, the salt begins to unravel or breakdown the proteins (also called denaturing). 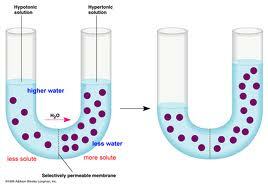 the denatured or unraveled proteins create tiny pockets that capture the water. once the meat is heated, the tiny pockets of water quickly close up and keep most of the water from leaking out as it cooks. you end up with chicken that is seasoned through and through and is oh, so moist. it makes every bite, whether dark or white, delicious! brining works best with chicken, turkey, pork, and seafood. chicken and turkey benefit greatly from brining, because they have to be cooked at much higher temperatures to reach the proper internal temperature. this results in the loss of natural moisture. i'm gonna give you the recipe and stuff you need to brine a whole chicken, because that's how i prefer to roast or smoke them. in fact, two at a time if preferable because we put down chicken like nobody's business...it's that good! because we like to smoke these babies, we butterfly them by cutting out the spine. they fit better in our smoker. zip lock bags or mixing bowls - chicken parts, pork chops, or seafood. mix water and the rest of the ingredients in a large bowl or directly in the ice chest. i prefer a bowl, because it's easier to whisk it together and to make sure the sugar and salt dissolve. once the brining solution is in the ice chest. submerge the chicken in the solution. placing a heavy plate on top will help keep it under. the trick is to keep the brine cold during the brining process...about 36-40 degrees Fahrenheit. the fridge is the perfect place to keep it cold. however, if there isn't any room in the fridge, then an insulated ice chest is the way to go. if this is the case, set a sealed ice pack or blue ice packs on top of the submerged meat/chicken. don't put ice directly into the brine or you'll end up with diluted brine. an ice chest with ice packs is how i usually do it. the general rule is 1 hour per pound, but no less than 30 minutes and no more than 8 hours. i rub a tablespoon onto a whole chicken, inside and out. cooking times usually shorten for meats that have been brined. whether you saute, fry, grill, roast, smoke, the best way to check for doneness is to use an instant read thermometer and make sure the meat reaches proper temperature. click here for a thermometer guide by the USDA. adding ingredients to the brine can get fun. fresh rosemary, bay leaf, or sage, halved oranges and lemons, and cloves can add some deliciousness. but don't get carried away, because you can easily muck up the flavor. try a little of this and a little of that and create your very own recipe! oh, and about cutting corners...sure you can. do you have to brine for hours? no. do you have to keep it cold? no. obviously a warm brine for 1 hour is better than no brine at all. but, that you'll get a better results if you keep it cold and brine it long. give it a try...seriously, everyone will love it! Hey... I tried this with chicken thighs. It is amazing what an impact it has. I could tell it was going to be different by the feel of the chicken when I turned it over with tongs. I've tried it twice. the second time was at a pot luck at church. People kept coming up to me after it was gone saying how tasty it was.